Ukraine's Health Ministry has recommended local authorities to bring the implementation of the Affordable Medicines cost reimbursement program in line with the conditions of the healthcare reform. The ministry sent the respective letter to heads of healthcare departments of regional administrations and the Kyiv City Administration. 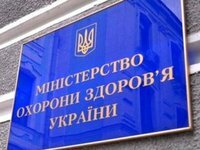 The ministry said that according to Ukrainian legislation, municipal non-commercial enterprises that were reorganized are not budget fund managers, as they are not budget-funded institutions. "Local authorities should determine regional, district, public administrations and merged territorial communities as budget funds managers within one month," the ministry said in the letter. The ministry said that this should be done in the regions where ultimate funds managers are reorganized healthcare institutions providing primary care. The new budget funds managers are to resign agreements with pharmacies participating in the Affordable Medicines program.